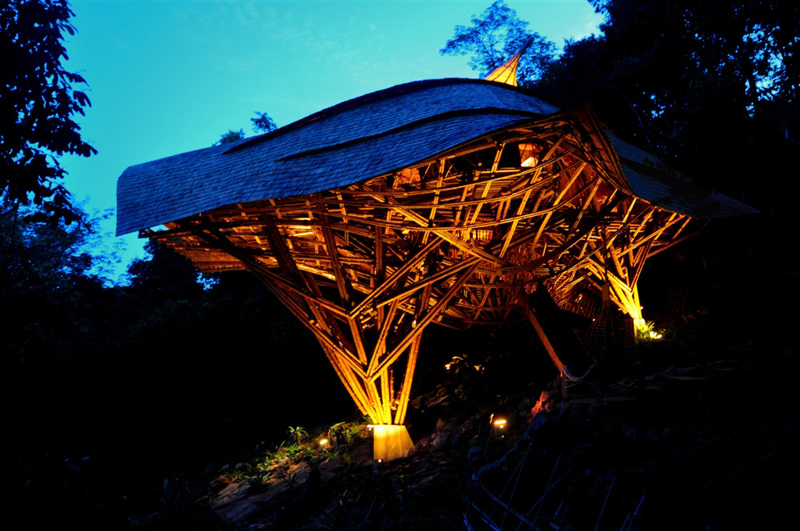 For the 6-star hotel resort Soneva Kiri on Koh Kood island in the gulf of Thailand, the 24H>architecture team has raised this giant treehouse in the shape of a manta ray. 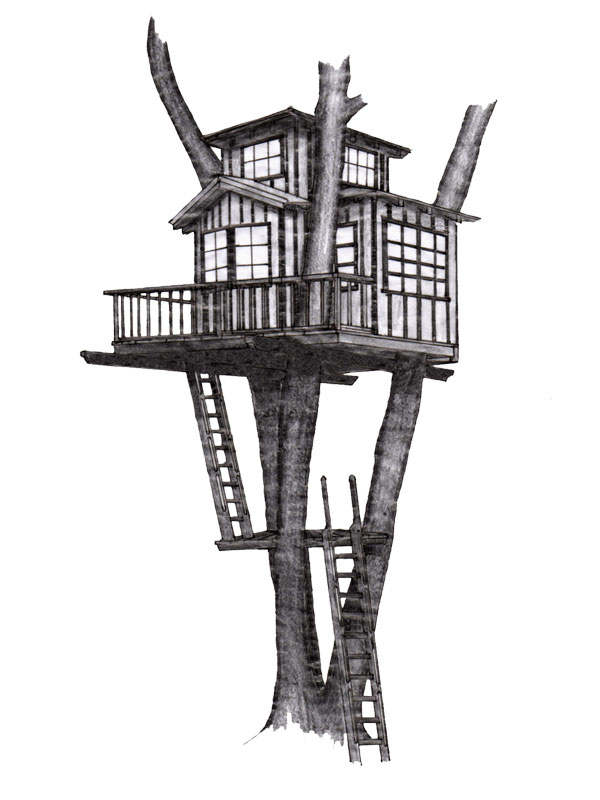 At least I see it as a treehouse, because it complies with pretty much every guideline turning a house into a treehouse: it is for children. 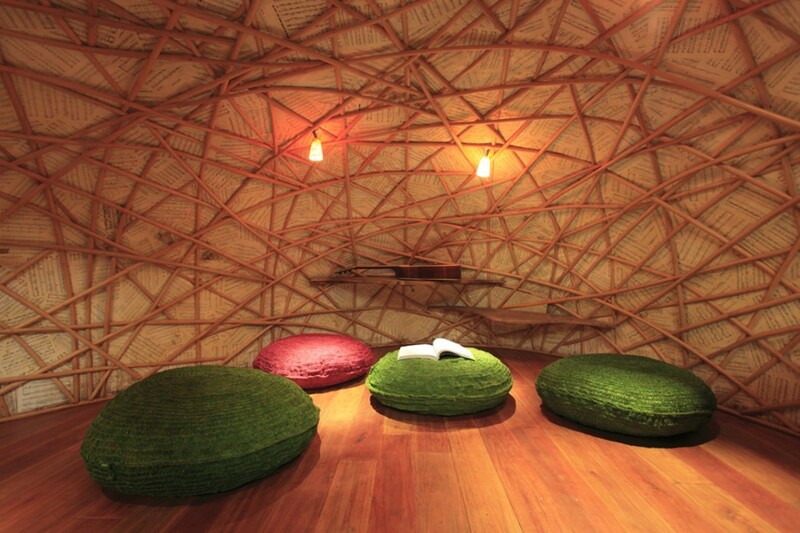 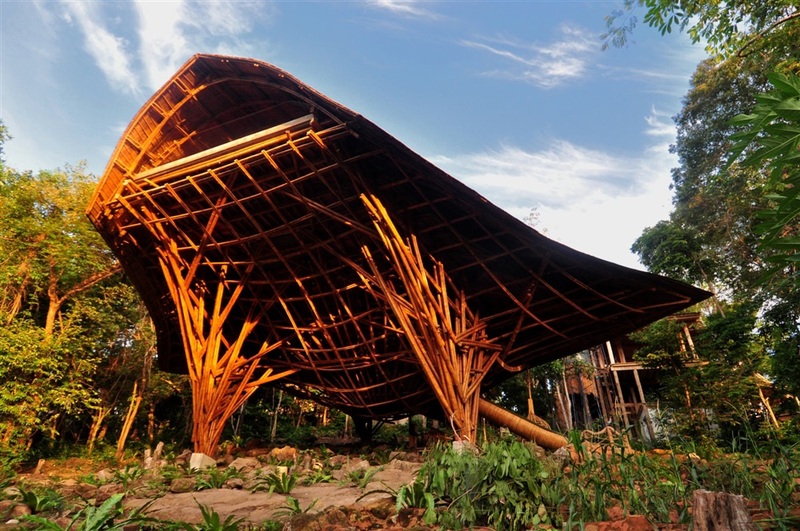 It provides an auditorium/cinema for films, lectures and plays, a library with books on permaculture and local traditions, an art room, a music room, thus giving children both creative and ecological education while playing. 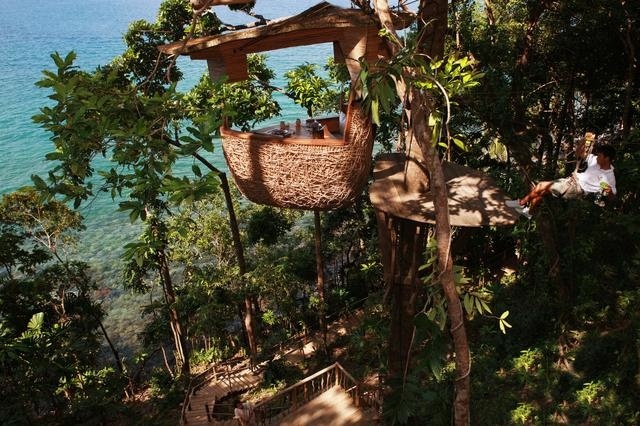 That is the purpose of this treehouse. 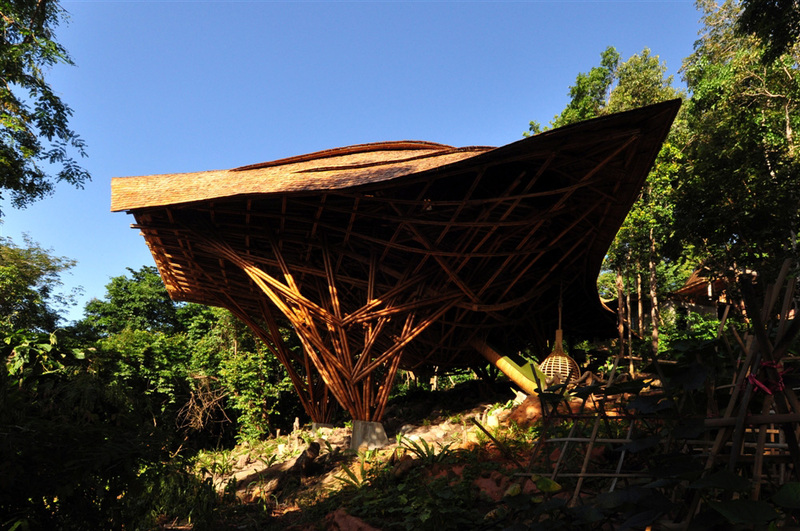 It also provides a kitchen together with a garden for the children to prepare their self-grown vegetables with a special cook. 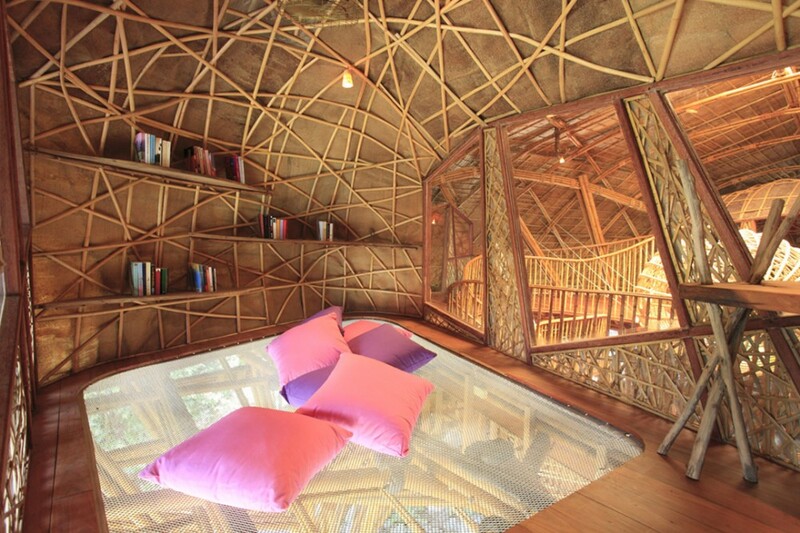 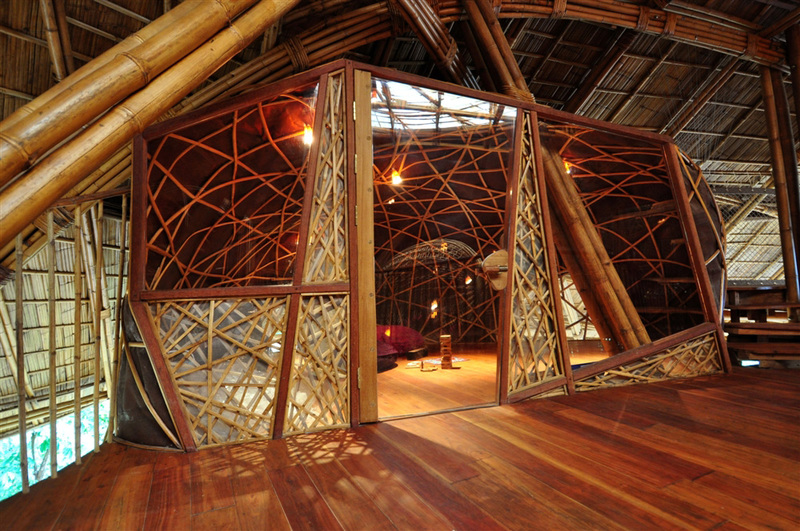 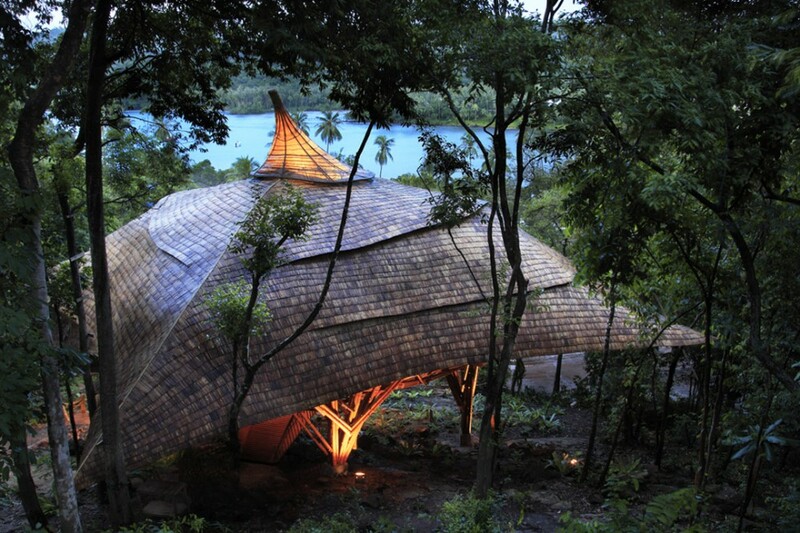 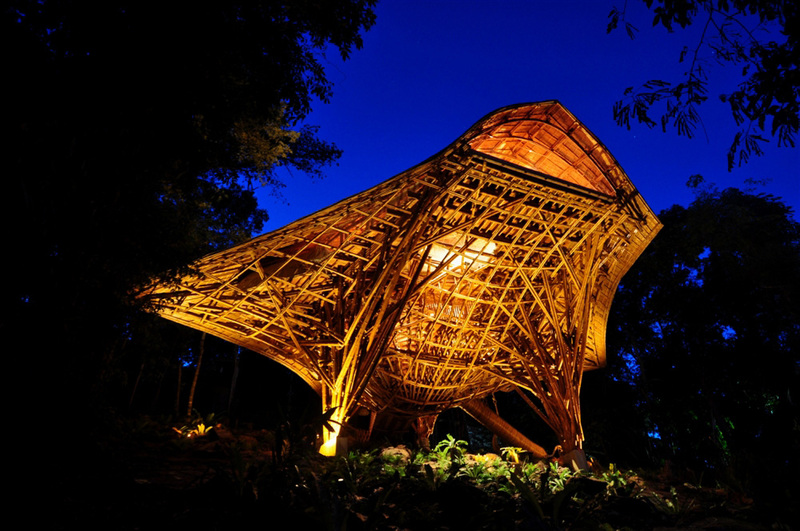 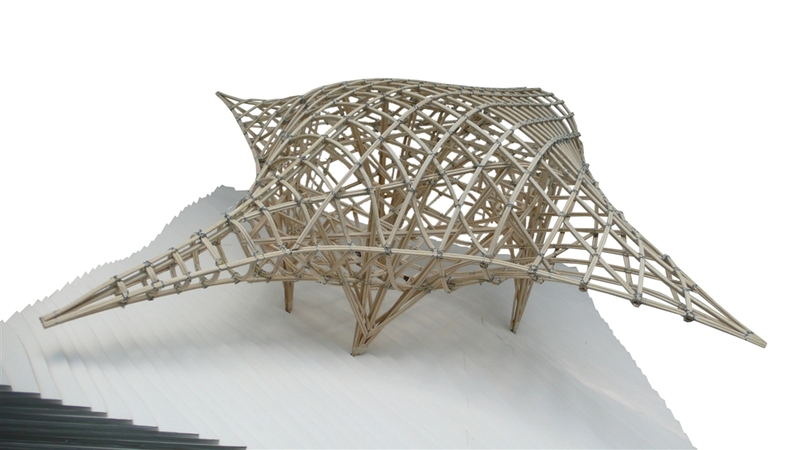 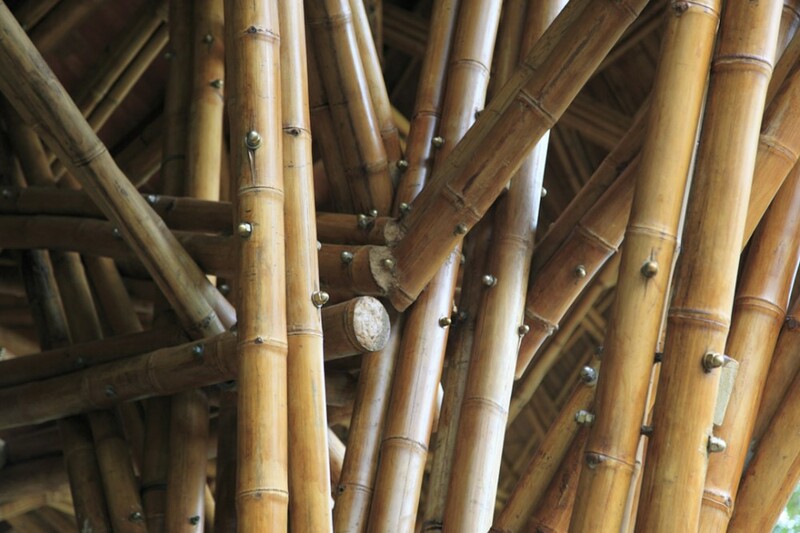 Built with local bamboo and other wood it features a breathtaking view over the sea and the djungle from up to 26 feet high up. 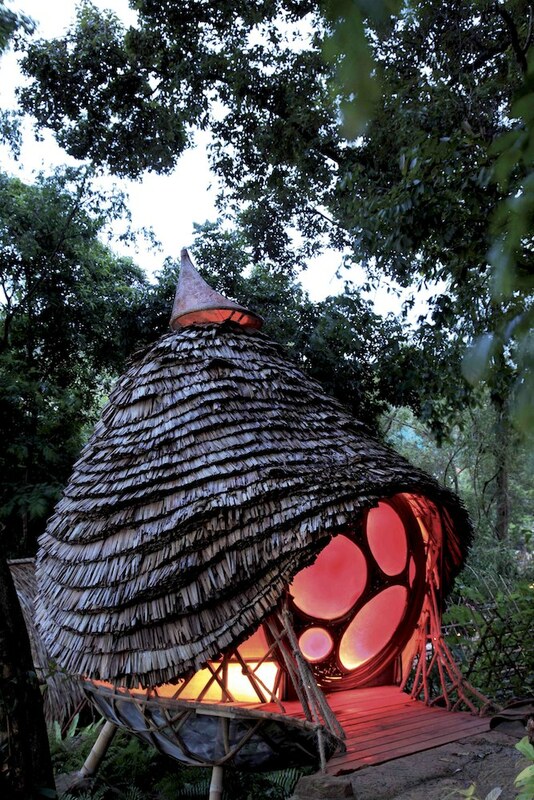 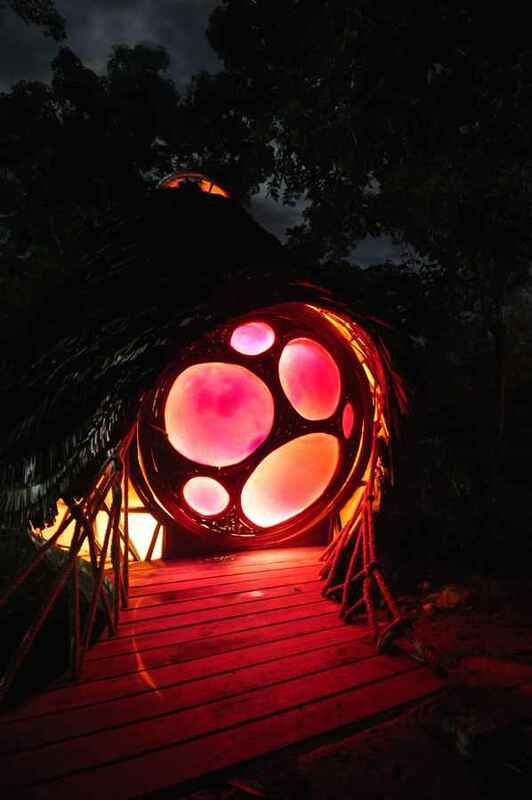 A little extra dining treehouse and a sleeping pod complete the site. 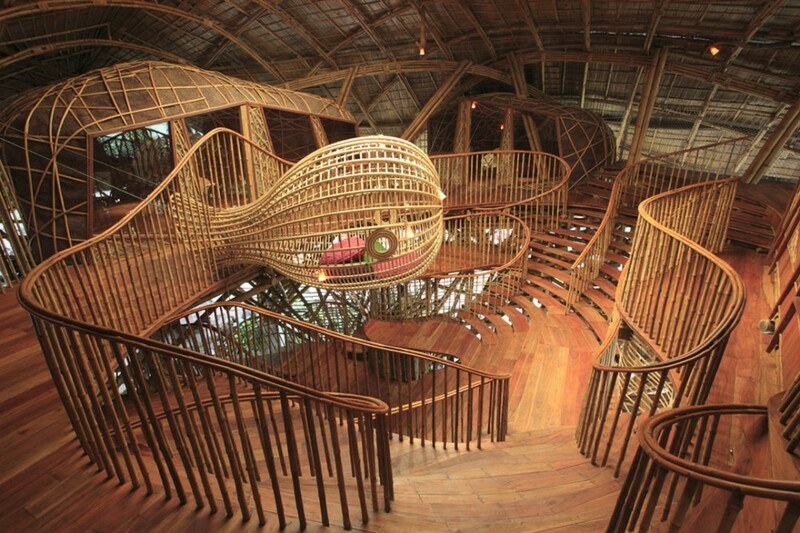 An insane place to discover, play and never leave again!